In an attempt to get closer to the equitable distribution of income, Budget 2017 announced some income tax relaxations to the middle-income group. 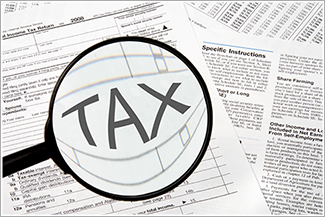 To safeguard the middle-income group, the income tax on Rs 2.5 to Rs 5 lakh has been cut down to half, at 5% from earlier 10% in the current budget. Thereby a person earning Rs 500,000 as gross total income will pay only Rs 2575 as tax instead of Rs 5150 charged earlier. On the contrary, the group with income of Rs 50 lakh to Rs 1 crore per annum will pay a flat surcharge of 10% on the total payable tax. With this the person earning Rs 60 lakhs as the gross total income will pay Rs 1736889 as tax instead of Rs 1591865. Accordingly, the group with gross total income of over Rs 1 crore will be paying flat surcharge of 15% on the tax.